NBC featured Jonas family on Milwaukee's Morning Blend Show & Green Bay's Wisconsin Tonight, about their Goat Milk Stuff soap business. 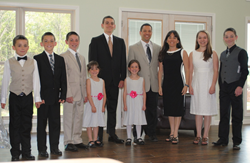 Above, PJ and Jim (3 and 4 from right) with their 8 children. 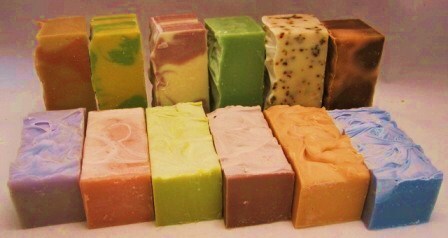 Goat Milk Stuff’s scented and unscented soaps help people with skin conditions such as eczema and psoriasis. Goat milk naturally contains selenium, vitamin A and alpha-hydroxy acids that are typically found in high-end beauty products. As basketball fever swept the nation and Wisconsin advanced to the NCAA Final Four, a family big enough to field two basketball teams, told Wisconsinites how they achieved the American Dream making goat milk soaps and lotions on their Indiana farm and marketing to customers worldwide at http://www.GoatMilkStuff.com. WTMJ-TV “Morning Blend” co-hosted by Molly Fay and Tiffany Ogle posted the Jonas interview on its website. Green Bay’s WGBA “Wisconsin Tonight,” co-hosted by Cassandra Duval and John Maino, also has its Goat Milk Stuff interview on that station’s website for their viewers. Goat Milk Stuff makes goat milk soaps and lotions and a wide selection of affordably-priced soap and lotion gift packs that are popular during holidays including Easter, Mother’s Day, Christmas and Valentine’s Day. 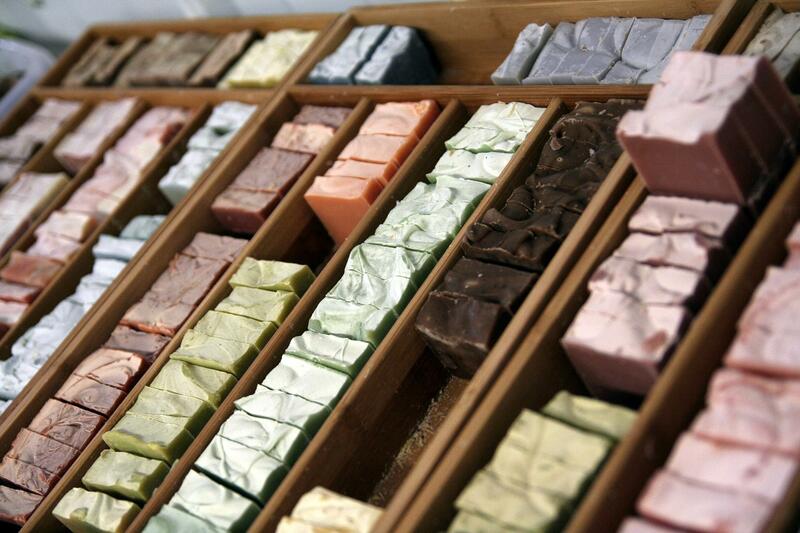 Online at http://www.GoatMilkStuff.com, the Scottsburg, Indiana company makes and markets all-natural Goat Milk Stuff™ products including goat milk soaps, lip balms, lotions, bath bombs, laundry soap, soy candles and more. For media contact Brian Dobson at DobsonPR.com or BD (at) DobsonPR.com.